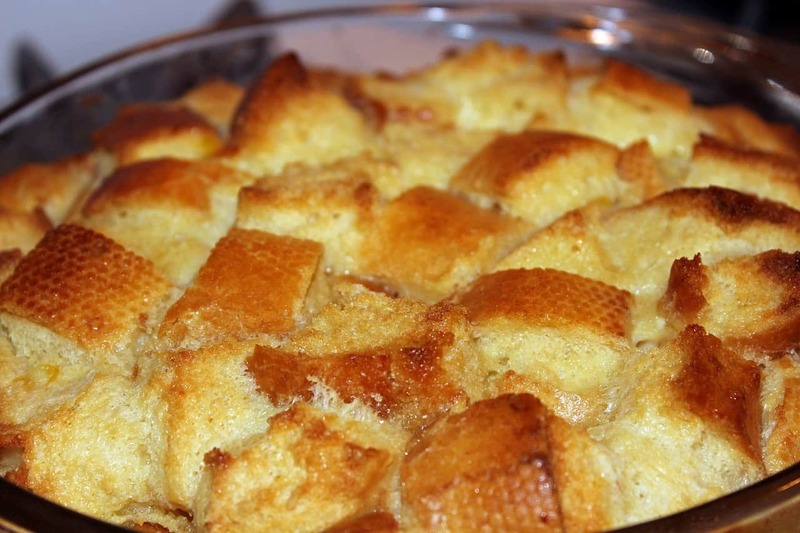 Bread pudding is a bread based dessert that is popular in many countries. Though different countries tend to vary their flavorings and ingredients, the basic ingredients include stale bread, milk or cream, eggs and oil or butter. Other ingredients will depend on whether the bread is meant to be sweet or savory but popular additions include sugar, syrup, honey, dried fruit, nuts, cinnamon, nutmeg, mace and vanilla. The bread is soaked in liquids, mixed with other ingredients and baked. Savory puddings may be served as main courses while sweet puddings are typically eaten as desserts. Because bread pudding is so popular and versatile, every good cook will need a variety of recipes in their arsenal. If you are thinking of creative ways to prepare bread pudding, never fear, Moms Who Think provides recipes your family and friends are sure to love. Our recipes come with clear step by step directions giving cooks what they need to make a successful dish. Some recipes will be quick to make while others take a bit of preparation, but when it comes to variety, we have bread puddings that are sure to be pleasing to any palette. Choose from Mexican Bread Pudding, New Orleans Bread Pudding, Chocolate Bread Pudding, Slow Cooker Bread Pudding and more. Bread pudding is sure to please guests when brought to any dinner table. They are accepted in a many cultures and can make a great meal or dessert. Be sure to check out our recipes to find out the best way to make your bread pudding work for you!